Although not too upset about its effect on Wales, I was still sorry to hear that one of my favourite players, Bath and Wales number 8 Taulupe Faletau, is more than likely to miss this year's entire Six Nations campaign, having broken his forearm for the second time this season. To break your arm twice in a season pretty unfortunate in itself but quite extraordinarily is still one arm break fewer than Faletau's cousin, England's Billy Vunipola, who has suffered three forearm breaks in the last 12 months. What is it with those Tongan boys? 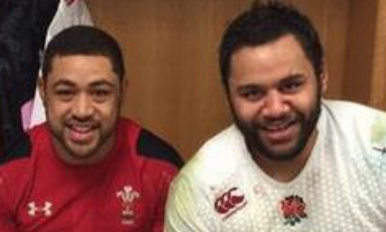 Faletau and Vunipola don't look particularly brittle to me, but five broken arms between them in the last year or so might suggest otherwise...?